SECAUCUS, N.J. — The Vitamin Shoppe now stocks NOOSH Almond Protein Powders in its stores and on its website vitaminshoppe.com. NOOSH, the plant-based product company known for its unique, playful packaging and naturally sourced ingredients, is the first brand to produce and manufacture a plant-based protein powder derived from whole California-grown almonds. 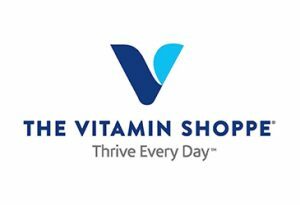 As a company dedicated to bringing innovative products to the market, The Vitamin Shoppe is the first and only national retailer to offer NOOSH Almond Protein Powder in its stores. NOOSH was developed to appeal to the nutrition and culinary needs of consumers’ everyday routines unlike most protein powders that are marketed specifically as a supplement for workout recovery. With unflavored, chocolate, and vanilla bean options, NOOSH protein powders are a healthy and tasty addition to smoothies, hot cocoa and other beverages, breakfast oats, pasta sauces, vegetable purees, desserts and more. The first pure, unflavored California almond protein powder to market, NOOSH provides an added boost of protein and fiber and is a healthier alternative to plant-based protein products.